The question here is where to start? How about with the simplest explanation, and that comes from the name of the preserver itself, “Yah-Hah-Buoy.” This is clearly a cleverly disguised nod to the Goofy’s famous yell. While the phonics of the yell may get lost in translation, whether it is actually yah-ha-hooey, yah-hoo-hoo-hooey, or yah-ha-ha-hooey, it is unmistakably Goofy’s trademark call when he is surprised or sent for a rather long flight and fall. Let’s move on down to Geef Industries’ slogan, “Your How-To Company,” next. Goofy has long been known as a Do-It-Yourself type of guy, from exercise and dancing, to sports and household repairs. The How-To series of animated shorts starring Goofy began in the 1940s and ran into 1950s before taking a sabbatical for the next several decades. The series would see a return to prominence in 2007 with the introduction of How to Hook Up Your Home Theater. It goes without saying that Goofy’s best laid plans, even those with step by step instructions, never went quite according to plan. Moving back just a hair to Geef Industries itself, this is a reference to one of Goofy’s other personas. During the 1950s, Goofy became an everyman, hence some of the Do-It-Yourself type shorts, and had a family to take care of and provide for. During this slate of animated shorts, Goofy was known by the name George Geef. During this time is when we are introduced to Goofy’s son, Max, or Junior as he was known then, as well as Mrs. Geef. While Mrs. Geef’s face was never seen, she did have a distinctive head of red hair. Last, but certainly not least, we come to the top of the bill, err…, life preserver. Water Ski Championship has the most amount of story to tell, but let’s start on the animated side of things. The most obvious Goofy short that this is referencing is the 1961 cartoon, Aquamania. In this short Goofy is determined to get a boat and get out onto the lake with his son. The name of the short itself is introduced very early on in the short, as this cartoon is a case study in Aquamania, or the obsession with boats and boating. Through a bizarre series of circumstance, Goofy ends up in a water skiing race, picks up an octopus companion, takes a trip aboard a roller coaster, and ends up winning the race. This isn’t the only water skiing that Goofy is known for, however. 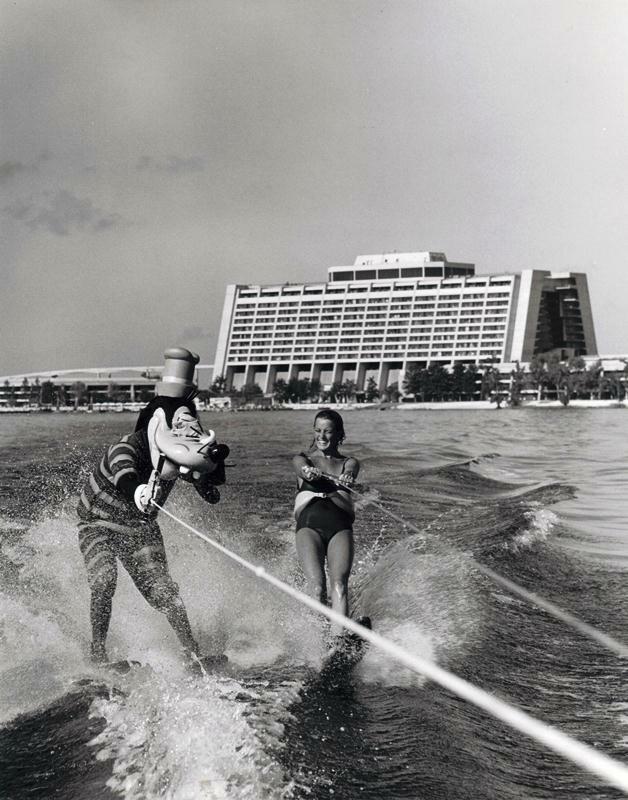 Between 1972 and 1973, Goofy partook in two water skiing shows right on the Seven Seas Lagoon. 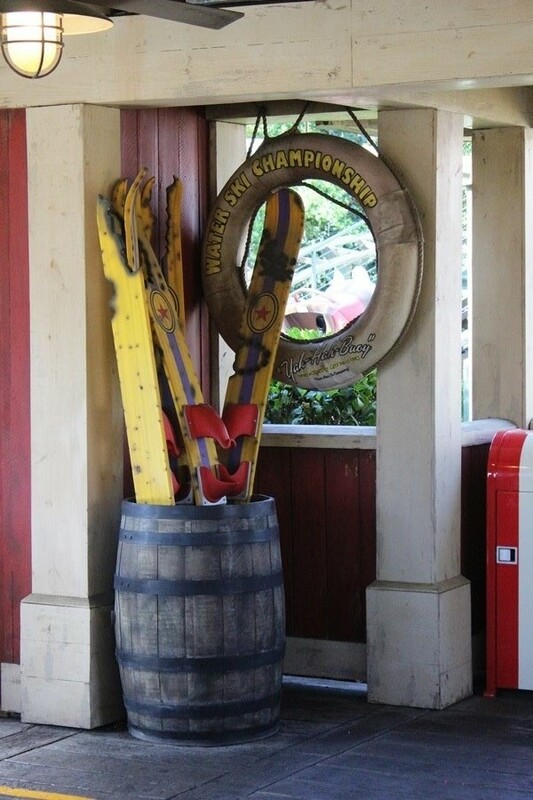 Known as the Walt Disney World Water Ski Spectacular and the Wonderful World of Water Ski Show, the show would run up to five times a day, including the occasional evening show. The best location for viewing was right down from the Magic Kingdom’s monorail station, but there was a price for the show. Tickets were 50 and 75 cents, or later the show was one offering of a “D” ticket. 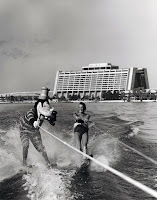 Even after the shows had been cancelled, Goofy and his character friends would ski along the lagoon, sometimes right up alongside the ferries. On rare occasions, they would even ski right up to the shore of spur-of-the-moment meet and greets with guests. Goofy has had an illustrious career as, well, just about everything you could imagine. His exploits are known far and wide, but they are particularly well known around Storybook Circus. If a single life preserver can hold this much story, just imagine the wealth of tales some other artifacts may hold!